Large amounts of data can be transmitted outstandingly with fibre-optic systems. Any weaknesses in relation to cables or connectors will be completely eliminated by using the FIBERFOX system. Durability, reliability and easy handling are priorities because the material must withstand the highest demands that are placed on it by rigging and de-rigging during mobile use. FIBERFOX EBC lens connectors always ensure the system’s functionality, even in harsh environmental conditions like rain, cold, heat, dust, mud or below water. In contrast to conventional fiber optic systems they achieve much more mating cycles (> 5000 without change (!) of insertion loss). They do not wear out at all, they are maintenance-free and have a theoretically unlimited lifetime. FIBERFOX EBC connectors comply with IP68 (connected or disconnected) and can be cleaned easily and quickly by using clear water and a lint-free cloth only. Detailed measurements or the use of special cleaning tools are not necessary! 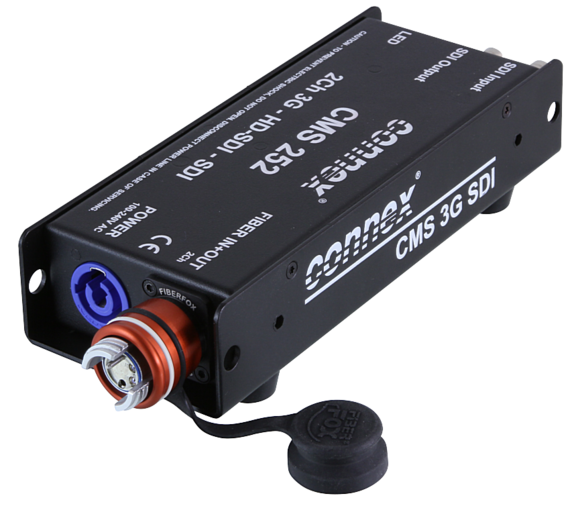 FIBERFOX is a lens connector system that provides excellent results for singlemode as well and therefore works without any problems in this kind of signal transmission even in CWDM applications. Our connectors are MIL-DTL-83526 compliant, so they are following the world wide standard for expanded beam connectors. As manufacturer of FIBERFOX we also are able to offer and to produce customized solutions even for small quantities within a short time. If products you’re looking for are missing in this catalogue in our assortment don’t hesitate to ask us! We offer state-of-the-art manufacturing and assembling methods as well as qualified expert staff. All this and comprehensive warehousing enables the production of standardized or customized products at simultaneously flexible manufacturing within short lead times. Everything is coordinated perfectly! 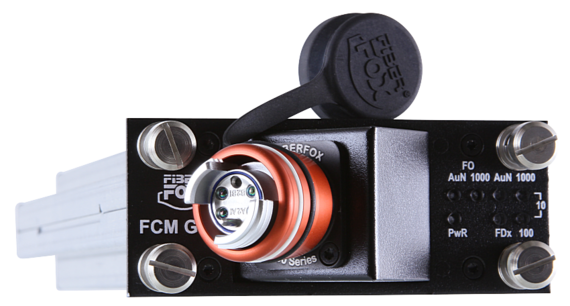 FIBERFOX serves not pre-assembled cables only, but a wide range of products and accessories such as 19" solutions, modular systems, media converters and more. In combination with CONNEX video extenders this leads to efficient complex systems coming from a single source. Broadcast and event companies have confidence in FIBERFOX systems for the transmission of audio, video and lighting signals for years. Just ask for references! We can provide you with a list of well-known worldwide events ranging from the Olympic Games to famous artists, big concerts, unique installations, broadcast companies and many more!